Fujifilm X-Series came a long way. Gone are the days of limited options for lenses. Fujifilm have produced excellent selections of lenses, which I feel made the X-Series successful as it is now. However, they still have a few “niche” lenses that haven’t made into production yet, until now. 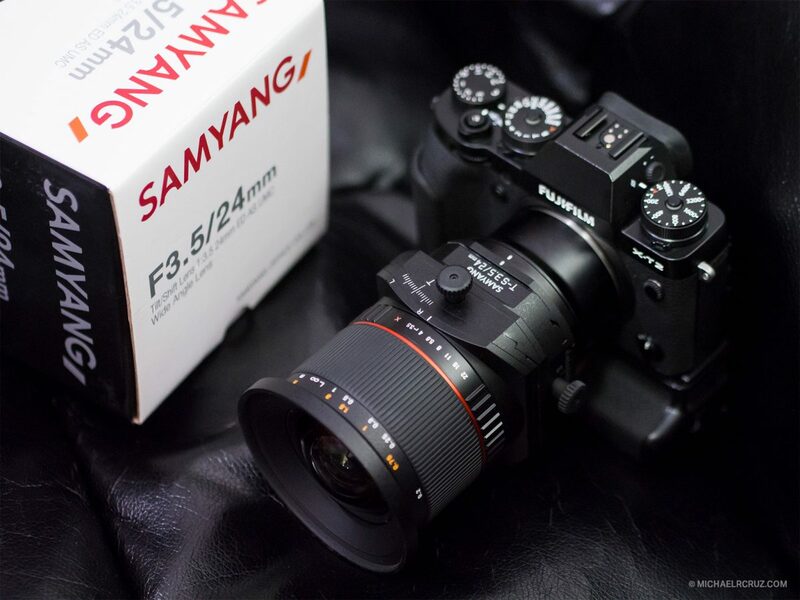 Samyang recently made a tilt shift lens for Fujifilm X-Mount, 24mm f3.5 ED AS UMC. I would like to thank BHMstore for letting me test this lens. Any time your wide-angle lens goes up or down, you can see perspective getting a bit wonky. Verticals look like they are falling down or leaning, which is a big no-no for any architectural photos. By simple shifting the lens up or down you can easily correct the perspective, thus vertical lines remains straight just as the architects designed them to be. Compared to a regular lens, the tilt-shift lenses covers a larger image circle. Meaning, they can cover larger than the sensor they were designed for. 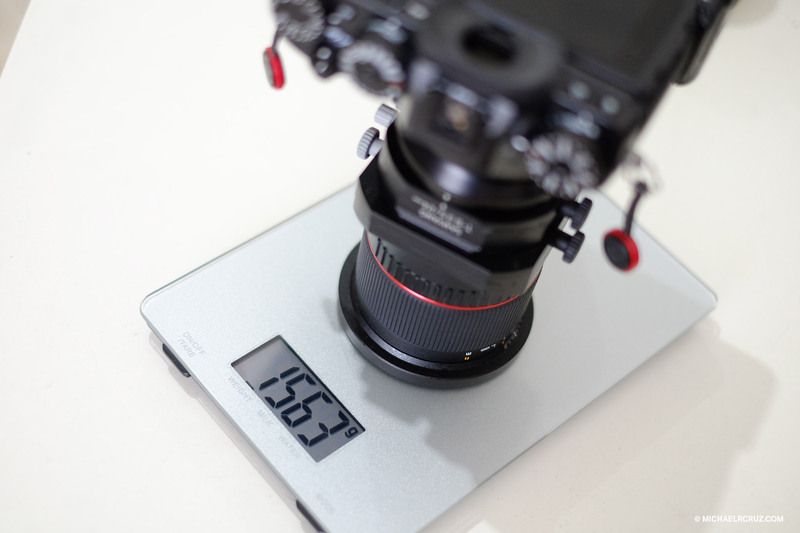 Thus creating the sweet spot larger than any regular lenses, hence sharper edge to edge images. A tilt shift lens enables you to create perfect vertical or horizontal panoramas. By simply shifting the lens up and down or from side to side, you can shoot three photos which overlaps perfectly and will blend in post without any problem due to the lack of parallax. I think miniature effect is probably the most popular feature of a tilt-shift lens. Although you can easily create this effect on post or by Instagram filters, nothing beats a straight out of the camera effect. By tilting the lens you can easily adjust the plane of focus to where you want it. This also makes some very cool creative effects for your photos. If you have been shooting interiors houses or buildings, having a tilt-shift lens in your camera bag is invaluable. Not only you can get the perspective control from the lens itself, but you can also get the composition you want without changing the perspective. This is a bit hard to explain but you can do a quick internet search to see its advantages, however there’s one thing I found a good use for it. 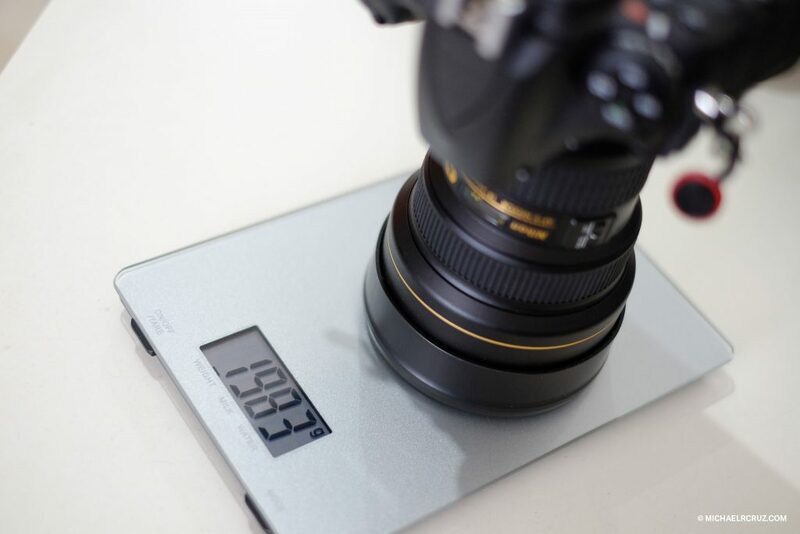 When shooting reflective surfaces or specifically mirrors, you can easily hide your camera by just moving on the side of the mirror but sometimes this screws up your composition, by simply shifting the lens, you can get the perspective that you are shooting the mirror straight on but hiding your camera gear. Ok, YouTube it now if you don’t believe me. Since this is an X-mount lens, there is no need for any adapters, this will mount to any Fujifilm X-Series interchangeable lens cameras. Like any tilt-shift lens, this is a manual focusing lens. Because of the crop factor of the APSC sensor of the Fujifilm X-series cameras, this 24mm lens will give you a perspective of a 35mm focal length equivalent in Full frame 35mm sensor. This review is by no way scientific, so if you are looking for a more technical and scientific review, you might need to look elsewhere. This is a real world review of this lens while on an actual photo shoot. I didn’t shoot bricks or straight lines here, I was shooting a real life subject in an actual photo shoot. This lens is built like a tank. You probably hear this a lot but this lens is really built like a tank. Mostly metal construction and dang this thing is heavy! Using this on a small Fuji camera might be a challenge, however pairing it on the X-T2 with a battery grip, it feels quite balanced. Using this hand-held will remind you of the good old days with the DSLRs (in case you shifted recently to mirrorless system) but since you will mostly use this kind of lenses on a tripod, I guess it wont be a big deal. The only thing I feel it could have been improved on the lenses are the plastic knobs, but for the price of this lens, I really am surprised in terms of build quality. Using the lens for a month, I think although cheap looking the knobs are quite well made. 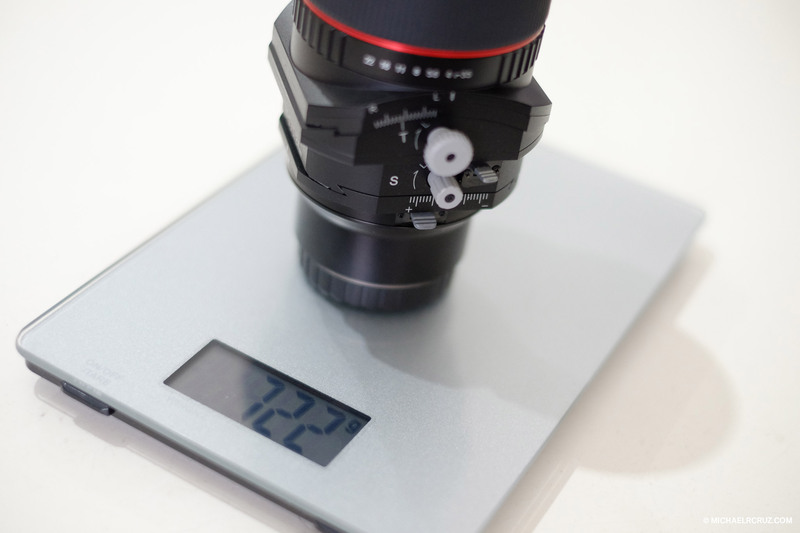 The focusing ring is buttery smooth and nicely weighted. Using the focus peaking on the X-T2 makes it very easy to focus. Using this lens for creative purposes and hand-held, I really feel that the amount of resistance is just perfect for adjusting the focus plane. The aperture ring is nice and notchy, which makes it easy on adjusting the aperture even without looking. Although it feels light and easy to turn, there was never an incident where I turned the aperture ring by accident, mainly because the focus ring is big so you cannot confuse it with the aperture ring. Samyang lenses are all manual lenses and I guess they know what they are doing. I used this lens for a portrait and fashion shoot and I really don’t remember having a problem using it. The only main issue I remember is it’s a bit heavier compared to my 56mm f1.2, which is the one I use mostly for this kind of shoot. I also shoot a little slower because I have to manual focus all the time. That being said, I really had a fun time shooting with it. For creative purposes, the tilt feature is the most used. I can easily blur things I want with a simple turn and pick the focal plane exactly where I wanted it. I never had this freedom with a regular lens. I won’t say it will replace your 56mm or 90mm but this lens can bring some creative perspective to your portrait or fashion shoot. The knobs can be a pain to use if you are doing a fashion editorial shoot because you constantly have to change it, but leaving it in a mid open position, I can easily tilt back and forth without even touching the knobs. This is where it all boils down and the way I see it, I see no faults. The lens is sharp wide open but it gets sharper after stepping it down to f7.1 to f11. Like any wide angle lens, this is prone to flares. The lens flare isn’t pretty specially shooting right in front of the sun, however it is predictable enough so with a slight adjustment you can get the shot without any flares. The lens flare can also overthrow the color rendition and white balance, I noticed that it gives a hint of green / yellow cast or a more magenta cast if shooting against the sun. In my experience, it can be corrected through post. Shooting on a normal lighting, I don’t see any discoloration or color cast on the photos. The contrast on the lens is also good, it gives a nice pop on the photos. I really love this lens. This gives my Fujifilm cameras a breath of new life, it just gives you features you can’t get with any regular lens out there. I feel that this will be really good with timelapse and videos too; giving you a unique look that only a tilt-shift lens can provide. I think you can do a lot of creative images with this lens and it will open a new world of opportunities for fashion and editorial shoot. The the reason I went for a fashion and editorial shoot with this lens, I feel it will be more interesting to see how it looks rather than the predictable architectural interior shots. For architectural work, I really wish Samyang made a 16mm (24mm full frame equivalent) for Fujifilm mount. This lens was designed for full frame use; you can get an equivalent Canon and Nikon equivalent of this lens. A wider focal length will give this lens a more versatile use for architectural work. The main question about tilt-shift lens is, if you are not landscape or architectural photographer, do you really need one? To answer you bluntly, with the price of this Samyang tilt-shift lens, I don’t see any reason why not! It gives you creative effects and it is so much fun to use on non-architectural work. Using this for portrait or fashion shoot might get that spice that you are looking for. If you want to buy this lens online at BHM Store or by clicking here.